........ Domain Eukarya: its cells have membrane bound organelles and a nucleus. ........Kingdom Animalia: its a multicellular creature. .........Phylum Chordata: it's a vertebrate. ......... Class Mammalia: bears live young and also has hair. 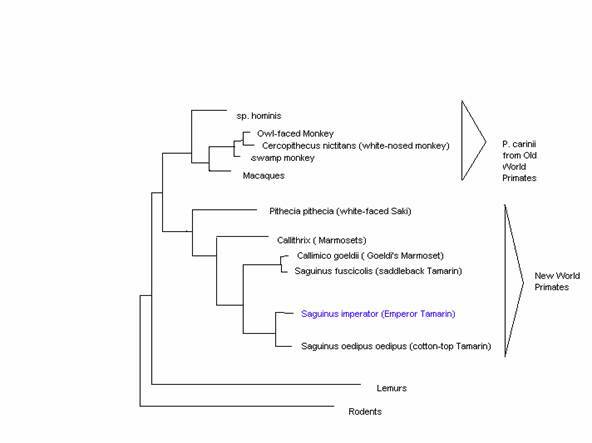 ............Genus Saguinus: Tamarins do not have large incisor teeth so they can not gouge holes in trees, unlike marmosets. They have to take advantage of holes created by other animals. 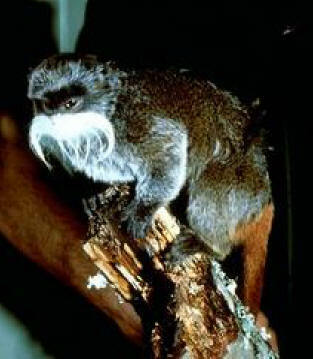 .............Species Saguinus imperator: they have large mustaches.